Dr. JungJae Park was born in Seoul, Korea. When he turned 18, he moved to Indiana where he attended Culver Academies. 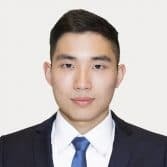 Dr. Park continued his undergraduate studies at University of Virginia graduating with a highest distinction, majoring in Engineering Science with a concentration on Nanomedicine Engineering. Under the influence of his father who is an orthopedic surgeon, he always wanted to be involved in the health care field since childhood. After extensive hours of volunteering and shadowing, he developed his passion for dentistry. He scored in the 100th percentile on the Dental Admission Test. He received his Doctor of Dental Surgery degree (D.D.S.) from VCU School of Dentistry, where he received multiple scholarships including Merit Scholarship, General Scholarship and Richmond Dental Study Club Memorial Endowment Scholarship. During dental school, he also completed Oral and Maxillofacial surgery externships at Emory University School of Medicine and VCU Medical Center. After graduating, he completed his General Practice residency at Columbia University College of Dental Medicine/New York Presbyterian Hospital where he was heavily focused on treating medically complex patients ranging from facial trauma to special needs patients. He is passionate about all aspects of dentistry and continues to attend CE courses to stay up-to-date, ensuring his patients benefit from comprehensive and cutting-edge dental care. He takes pride in providing the highest level of cosmetic and surgical dental care in a gentle manner. When he is not practicing dentistry, Dr. Park enjoys traveling, playing golf, speed skating and spending time with his family.